Beautiful -not to mention useful- jewellery! Thank for the giveaway! Very beautiful.... I have never had markers...always used safety pins!! Great podcast, my favorite part was about your sister in laws mom, I want to watch her show!! I cannot wait to see the items more closely, I also loved the story about Helen. Thank you, good luck everyone!! Thank you for all of the lovely giveaways, Alana! Enjoyable podcast and beautiful necklace. Thank you for your hard work! AuntBetsy on ravelry. What a neat idea! That would be fun to wear as a knitter! So, so lovely!!! You can find me as lisagreenb on ravelry! Knitting is even more enjoyable when one has lovely stitch markers. Thank you for the giveaway. Savannagal on Rav. Lovely jewelry. Useful & pretty. Thanks for sharing. Just Beautiful, i make necklaces also but these are quite different . Can't wait to łisten to your newest podcast! I gasped when I saw those pictures--so beautiful! Thanks for the chance to win. Gorgeous! You would never know they serve a dual purpose. Thank you for the giveaway. I am hmommy on Rav. I just love the markers on a long necklace...perfection! Thank you for the giveaway. 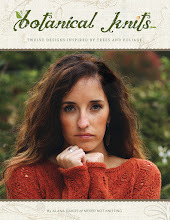 Thank you, Alana, for introducing Wool & Wire...gorgeous! Also, would love to join the Mystery Shawl KAL mentioned on the podcast. 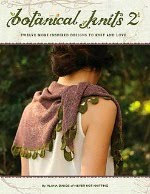 Can't wait to start the Secret Garden Shawl as well. I found Cathy's story so poignant. Thank you for sharing that. I am VivienneNVS on Ravelry. I am very excited to see the jewelry. They are gorgeous. Can't wait to lay my hand on them. Thanks for sharing. Beautiful! Thank you for the opportunity to win. What a beautiful concept. Thank you for the giveaway opportunity. I really enjoy listening to your podcasts! I loved your comments about the Baa-ble hat...makes me want to knit it myself! I thought Cathy's story was awesome and very touching. Thank you! I never thought about using them as jewelry. How perfect! The jewelery is so beautiful! Such lovely creations! I really enjoy your podcast. annathedee on ravelry. What gorgeous jewelry. I'd love to win. So delicate and beautiful - thanks much for the giveaway too. Love the jewelry, enjoy the podcast. Thank you. Great giveaway. Love the stitch markers. The giveaway is beautiful! I love her work. Love this knitting jewelry and hope to win! This is the first time I've listened to your podcast and I'm hooked! So much better than TV to knit by. That song at the end has me in stitches. I'm purliebyrd on Ravelry. Now off to find more of yours to listen too. Lovin' the podcast! And oh, yummy, that knit-jewelry is awesome. Love her wire designs! Thanks for another great giveaway. One can never have too many stitch markers! How elegant these stitch markers are! Just beautiful. Those have to be the most beautiful stitch markers I ever seen. They look to pretty to use. They'd look great with a little black dress and a cute little white, short cardi over the shoulders. Great podcast. Thanks! The stitch marker jewellery sounds intriguing! Great idea. HettiesMum on Rav. You're right. The jewelry is so gorgeous. I would not have known it was a stitch marker necklace if you hadn't said so. Really nice quality. This is one of my favorite knitting stories. I like that Helen's passion was charity knitting. Beautiful stitch markers. Loving your podcast also! Love your podcast! I love everything botanical! Thanks for all you do Alana. What a lovely set of stitch markers! Love listening to your podcast during the knitting season. Lovely stitch markers. Knitting is even more pleasant when using pretty tools. 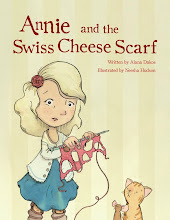 Sallee Anne's items are just beautiful! i look forward to listening to you podcast and the stitch markers are beautiful! Beautiful jewellery & such a good idea! 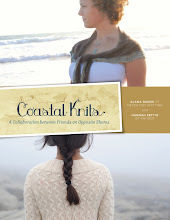 Can't wait to hear more about the knit-a-long and the new book sounds very exciting. Those are beautiful. Can't wait to hear more about the knit-a-long! Such lovely pieces! I'm Cricket54 on Ravelry. These are beautiful. Thanks as always for the chance to win. I'm ShadowAP on Rav. I love accessorizing my knitting! Makes it feel more elegant and as a bonus I get to enjoy looking at them while they are being used. These are beautiful adornments! What a nifty idea! The stitch markers are so lovely! I will suggest to my LYS to carry Wool & Wire and I just found a Christmas present for my Mother-in-law (the knitter who inspired me to begin knitting). I loved Cathy's story. Beautiful and touching! What a wonderful way to accessorize ones knitting. Thank you for the opportunity. Thank you for the opportunity to enter to win such beautiful accessories. Wonderful episode. Love the stitch markers. Thanks for the beautiful giveaway! I'm plunkdaddy on rav. Beautiful jewelry, and a wonderful idea too. I always love your designs, and the jewelry complements them. I am Deedee Winters on Ravelry. Practical and beautiful - what a great combo. Thanks for bringing these to my attention. This jewelry is simply lovely. I would love to give a necklace to my dearest knitting friend. I was just telling my husband and daughter about this type of jewelry! My mother in law is a knitter too and I want get her one as a gift. Thanks for the opportunity! Oh my god those stitch markers are ahmazing. very unique and pretty. I'd be honored to wear it. Just found you. Fabulous blog! i enjoyed the jewelry at your store, thank you for the opportunity to enjoy it. Lovely and useful jewelry! Nice teamwork in s product! Beautiful necklace and stitch markers. Thanks for the giveaway. Oh wow, so clever and absolutely stunning! Love it. I don't usually wear any jewelry, but this one is really adorable and useful!! Great episode. I really loved Cathy's story. The necklace is beautiful! Thanks for the chance to win! Those stitch markers are really pretty and useful. Delicate and dangly - Love it! What a great necklace! Love the podcast too! I so enjoy your podcasts ☺️ Your friend's jewelry is a delight! What wonderful pieces. Great give away. My Rav id: pinkknittergal. So fun! And what a clever idea! Cowbell on ravelry. I agree about the Baa-ble hat. I first noticed and loved it when designer Donna Smith made a baable for a Christmas ornament last year. When the pattern was released for Shetland Wool week, I ran to my stash and quickly made it. I love it and so does everyone else. I never would have guessed that necklace was also a set of stitch holders. Just beautiful! These are stunning! Martha24jane on ravelry. So beautiful...thanks so much for the giveaway! I am happydude on Ravelry. These are both beautiful and handy! I'm a new listener and have been catching up on the old episodes. This one has got to be my favourite so far. The story was lovely and moving. And I have been wanting to do an MKAL, but haven't found one that really grips me. But what do I happen to be looking for right now? A worsted weight wrap! I will definitely be looking forward to it. Thanks for the great episode! How beautiful! I must agree with you, Alana - I've long wanted a piece of jewelry to wear stitch markers on, but I've never found one I liked. I have had my eye on these for a while! Would love to win one. Wow. Beautiful. Great story in this show too! What a lovely idea! Adorn knitters with knitting notions. The jewelry is lovely and I really enjoyed the personal story on this episode! I have seen knitter jewlery and thought, meh. Not so with this gorgeousness! Very beautiful and elegant beads and silver. I also admire the green beads - they look so natural and glowing. I am going to wait and see if I win this drawing, and if not . . . off I go to her website to place a Christmas order!! Love the idea of stitch marker jewelry. ichasehorses on Ravelry. The jewelry from Wool & Wire is so creative! Thanks for the opportunity to win a necklace and stitch markers! Wow, the jewelry is beautiful--and helpful with the stitch markers! I would love to win! Thank you for telling us about this wonderful new company. 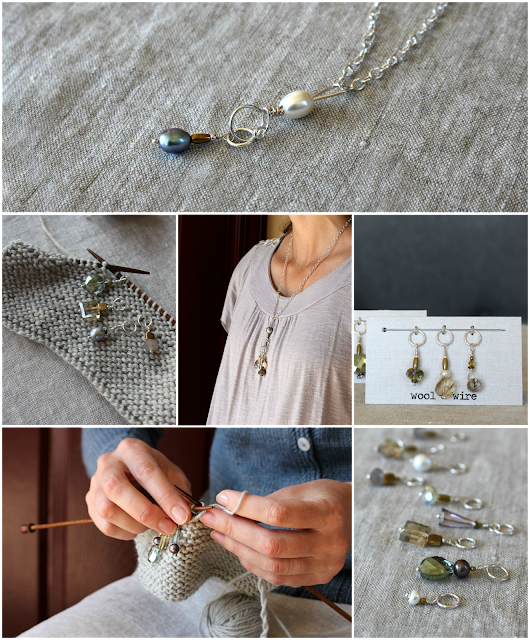 I love knitting jewelry, the combination of beauty and function. Would love to add these beautiful pieces to my collection! What beautiful designs. The necklace subtly calls attention to itself, which allows you to share your love of crafting when someone asks where you go it. And to be able to use the stitch markers and other designs. Simply beautiful. what a sweet giveaway - my daughter would love this! Ooohhh, so pretty! I love it! I love love LOVE this necklace... what a clever woman. Thanks for this beautiful giveaway opportunity! Always look forward to your new podcast! Loved this one. Helen's story at the end was so moving. The necklace with the stitch markers is a brilliant idea! Those stitch markers are stunning. The colors, the style, even the way they are photographed. So elegant. Thank you for the giveaway and another great podcast episode. So beautiful and practical! I would love these. Thank you for the giveaway! The elegance is awesome - and beautifully photography! Thanks for the giveaway. Very beautiful necklace. I love the jewelry and I'm waiting with baited breath for the knit along. Enjoyed the podcast--especially the personal reflection, "Appreciating Helen"
I may have to give in and knit the Baa-ble hat at some point. I'm trying to not buy yarn until after I move in December, but that hat is sorely tempting me! What a beautiful way to carry stitch markers. Adding to my Christmss list! How beautiful! This is now on my Christmas wishlist. Hi from "haveyarnwillfly" on Ravelry. Beautiful jewelry. Thanks for the opportunity. They are lovely and such a great idea! OMG I want that necklace set so bad! I was just looking at it in the online shop when you announced you were giving away a set...it's fate! Great episode! I've seen the necklace and markers a few different places and they are so beautiful, I loved hearing a bit of the back story and about your relationship with Sally!! So beautiful! It was wonderful to hear about your valuable relationship with Sally. I love the Wool and Wire collection. My favorite is the shawl pin-so beautiful and functional at the same time. These are so pretty! Fingers crossed! I loved hearing all about Sally Ann and all of her amazing talents. She sounds like a wonderful friend! Thanks for another great episode! absolutely lovely! always nice to give a listen to podcast! Really pretty!! I agree with your statement about other stitch marker jewelry. If I don't win, I may have to put in an order myself. Thanks for this wonderful opportunity to win this awesome prize. How very pretty! Andrea M.
The jewelry is very elegant...and the display cards are fantastic! Lovely episode! The jewellery sounds gorgeous. Loved Appreciating Helen too.